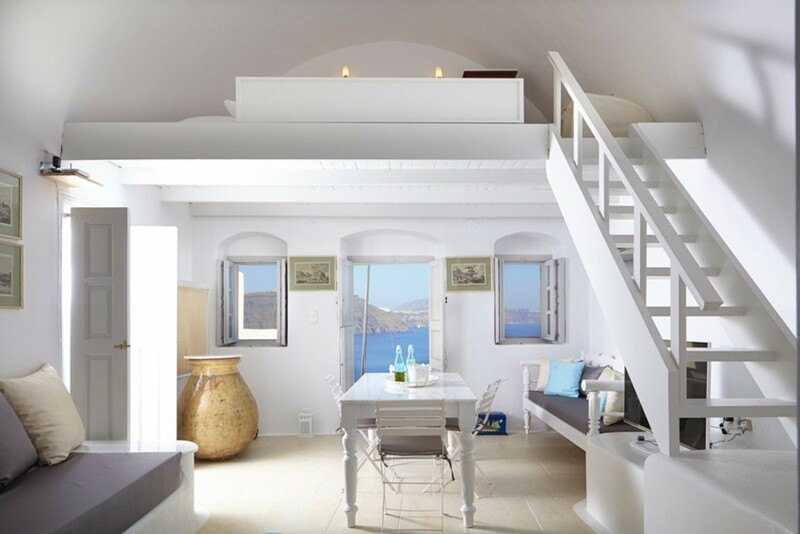 Welcome to Oia Cave, a luxurious 3-bedroom Bohemian villa overlooking the majestic views of the Aegean Sea in Oia, Santorini, Greece. 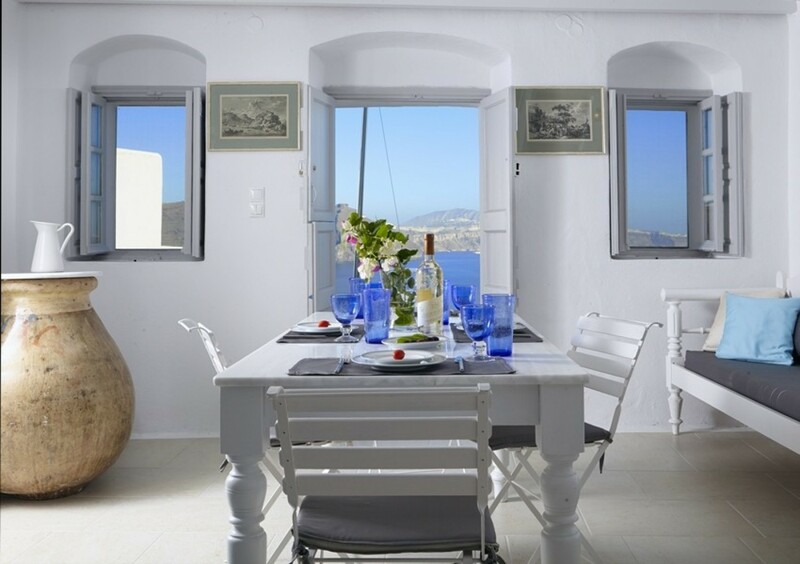 This beautiful ocean view villa can accommodate up to six guests and is located 11 km from the town of Fira. 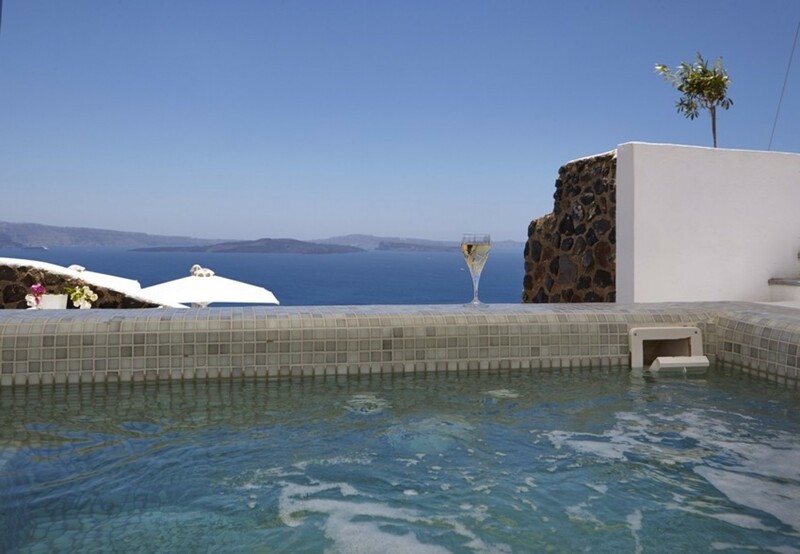 With its key features such as its bubbly private heated jacuzzi, secluded terrace and magnificent views of the Caldera, there is nowhere else you would rather be. 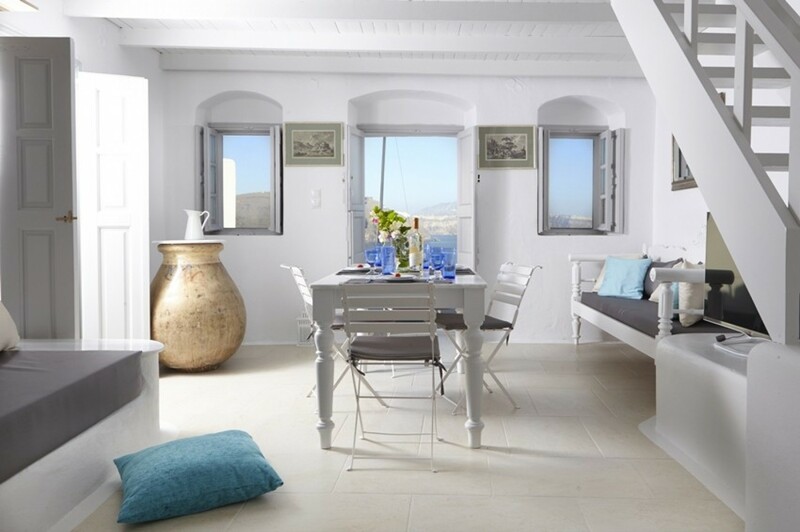 Villa Oia Cave offers you the ultimate Greek holiday experience in the comfort and tranquility of your own secluded villa overlooking the glistening Aegean Waters. 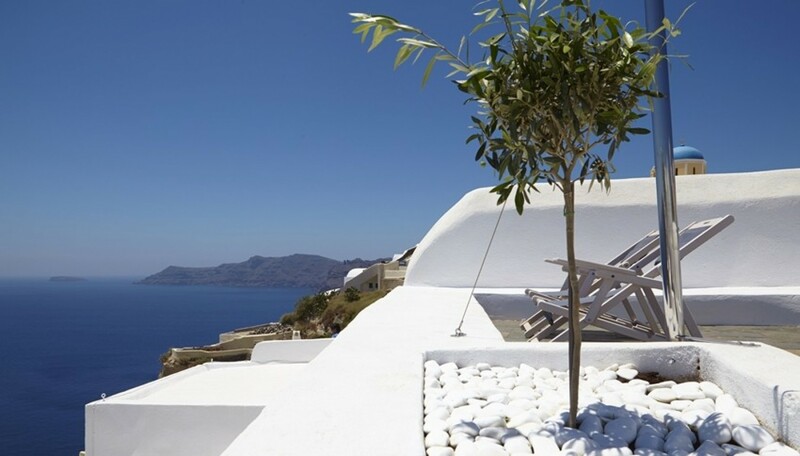 The villa provides the perfect base for you to seek adventure and explore the beautiful area of Oia in all its rustic charm. 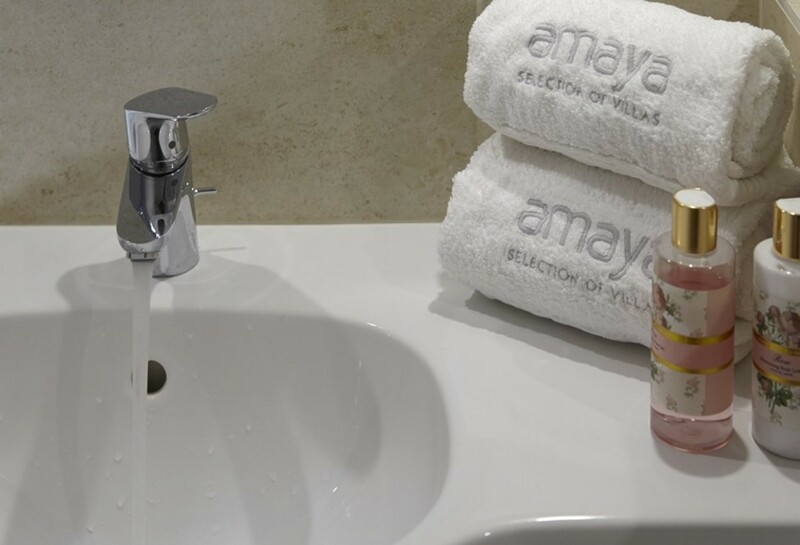 The Villa brings with it a vast variety of amenities that add the feeling of a five-star resort. 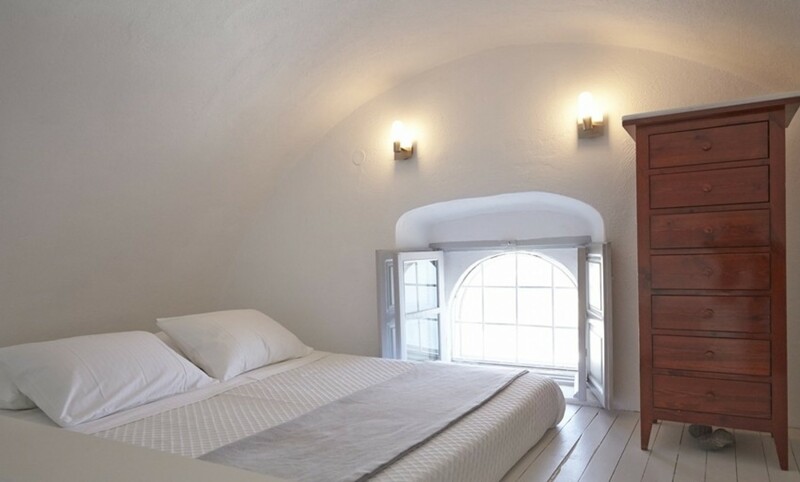 Villa Oia Cave is the perfect house to discover Santorini’s beauty and hidden culture. 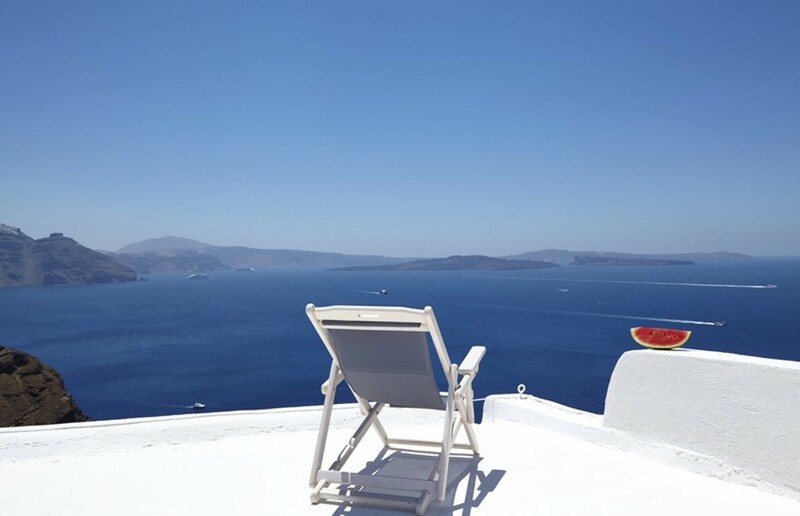 Indulge yourself in the location this villa is set in as it perches on higher grounds giving you a wider perspective over the clear panoramic views of the clear crystalline Aegean Waters and provides sensational views of the famous Caldera and the historical volcano of Santorini. The location allows you to have your own home full of serenity as well as not being too far from local attractions, restaurants, shops, and transport. 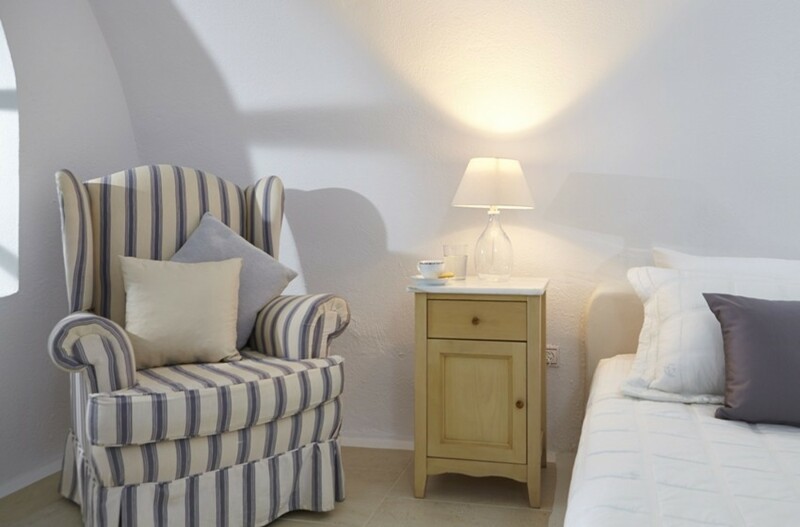 If you wish to stay in your own piece of paradise, then you can just relax by the heated jacuzzi on the comfortable sun beds in a sun-soaked world of your own or read your favorite book on the outdoor chairs on the terrace. Slip into the bubbly waters as you enjoy the evening sunset light up the sky with warm golden colors. 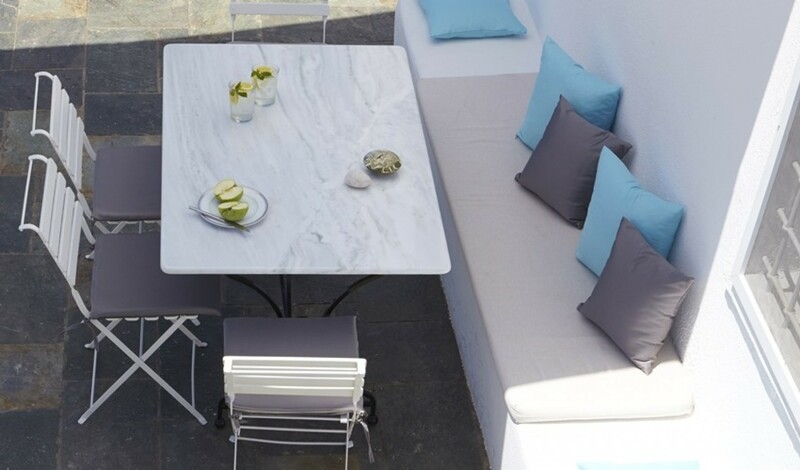 You could even enjoy an evening meal under that stars as the outdoor dining area seats up to six guests. 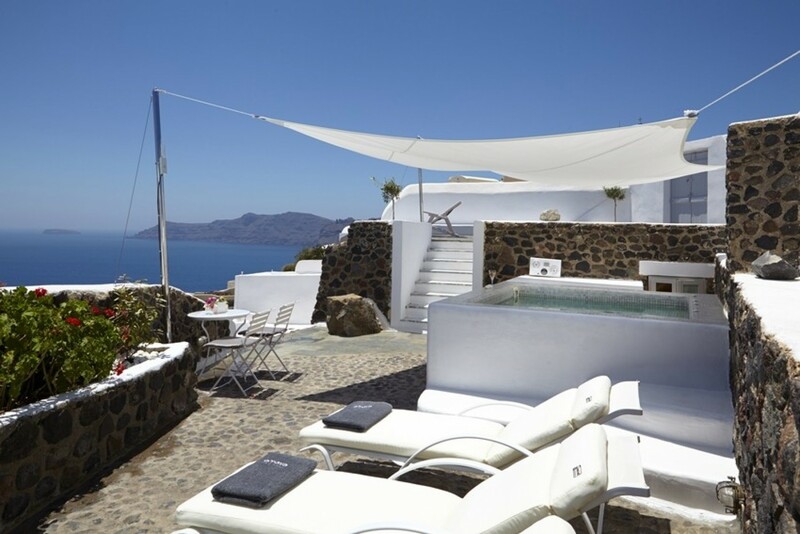 Oia Cave blends nature and luxury seamlessly to bring you perfection in paradise. 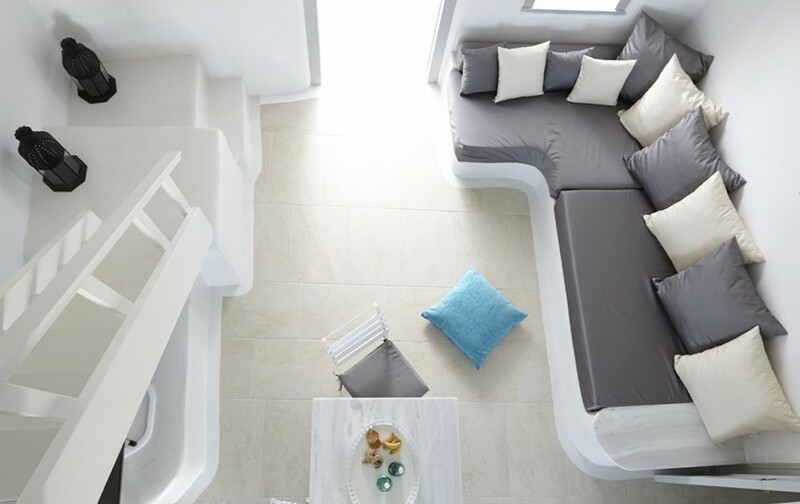 The simplistic and ultra-modern design of this exceptional villa provides substantial open-plan living spaces with accompanying balconies as well as four luxurious bedrooms. 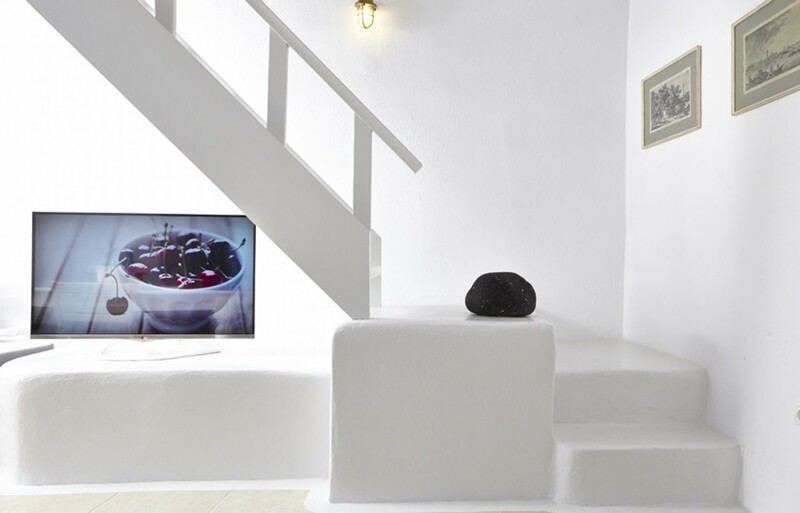 The white walls and pristine ambiance creates an authentic Greek holiday experience. Delving into the finer details the layout consists of three bedrooms, two living rooms, and a fully equipped kitchen. 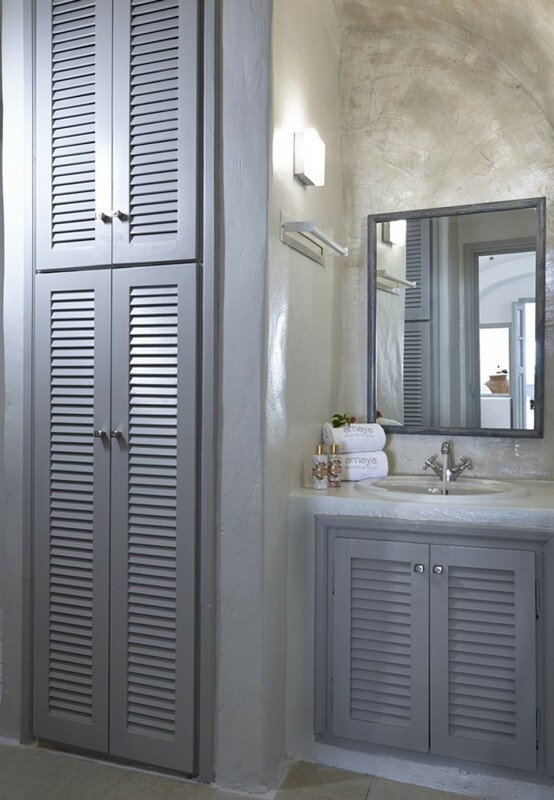 The architectural design follows a simplistic yet elegant touch bringing the villa to a new level of luxury. 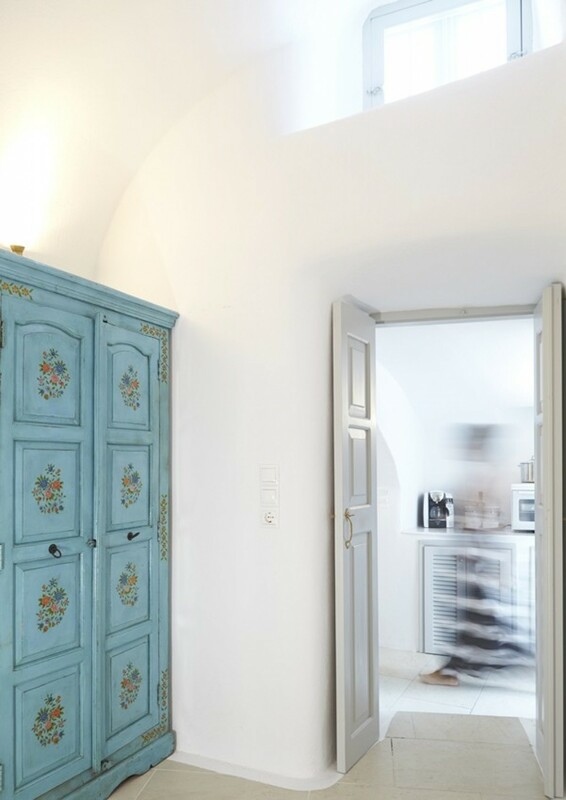 There is a fully equipped kitchen, a dining area, and a living room blended into the main ling space. The living area is flooded with light due to the large windows and is pristine with its whitewashed walls and modern inbuilt sofa. The room also includes a high-resolution television. The dining area can seat up to six guests. 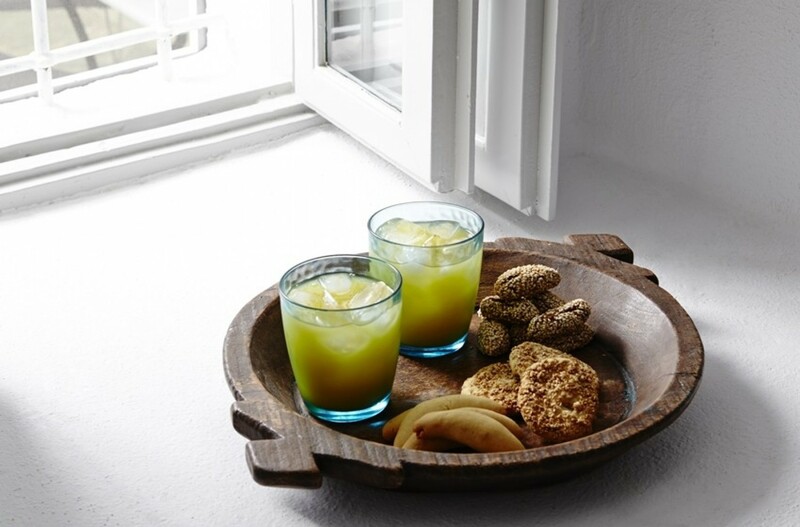 You can make yourself a delicious meal in the fully equipped kitchen, or maybe just put on a hot cup of coffee to sip on while to look out over the serene waters. The Master suite fitted with a large double bed and includes a private en-suite bathroom. There is another double bedroom with an en-suite bedroom. 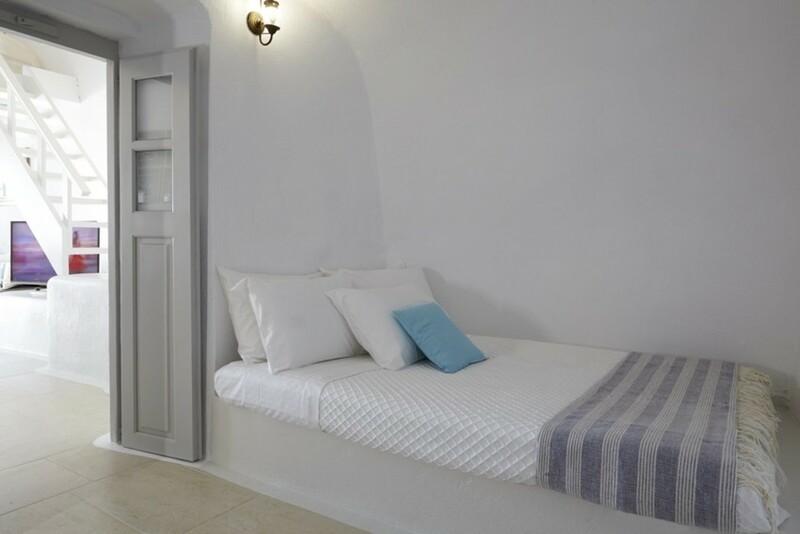 The villa is fully equipped with secure Wi-Fi throughout the building and outdoor areas. 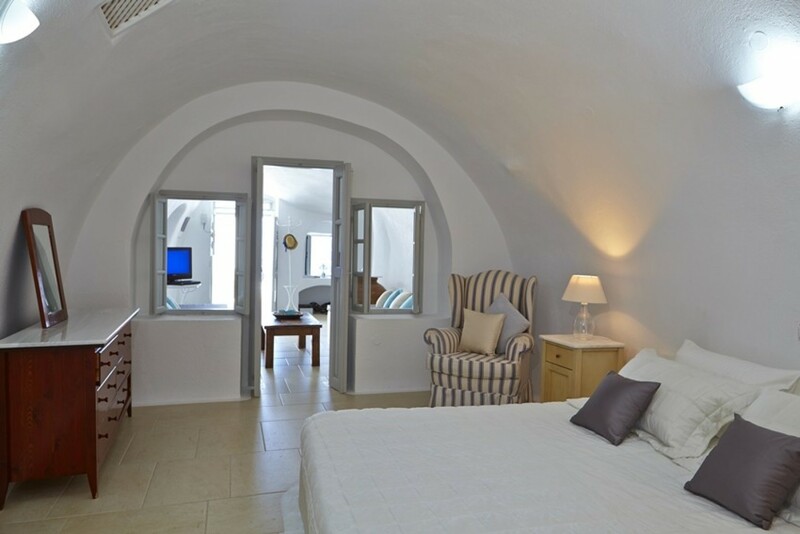 The remaining bedroom is fitted with two luxurious single beds and has a private en-suite bathroom also. The bedroom leads out into the living area. Oia Cave is truly an exceptional villa offering an escape from the mundane life to a tropical home overlooking the panoramic ocean views. 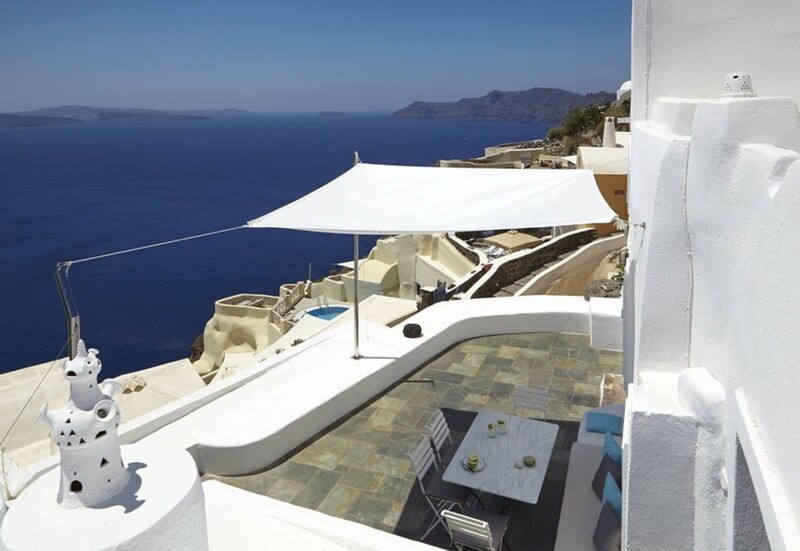 Oia Cave is a private Oceanview villa perched on the slightly sloping hillside Santorini, Greece. 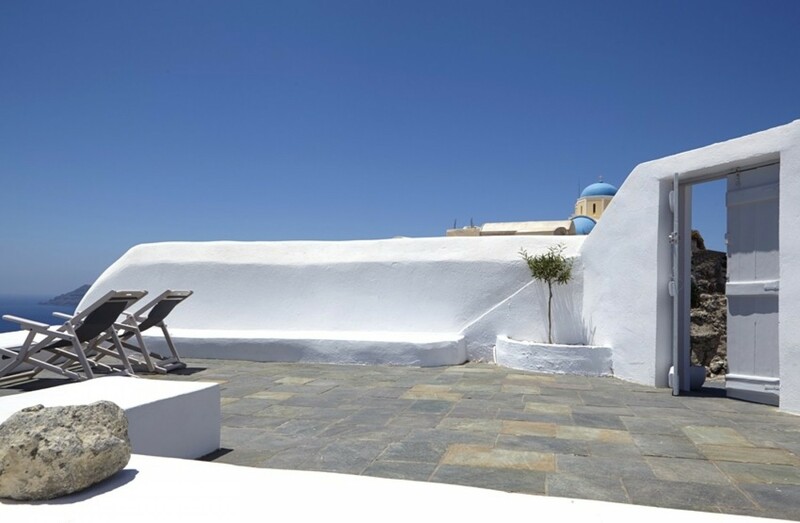 Indulge in the serene location full of historic jewels as this location is embedded in the heart of the town Oia where it is said to have the most famous sunsets. The town comes with a variety of amenities including highly regarded local restaurants and cafes are discovered on every corner. 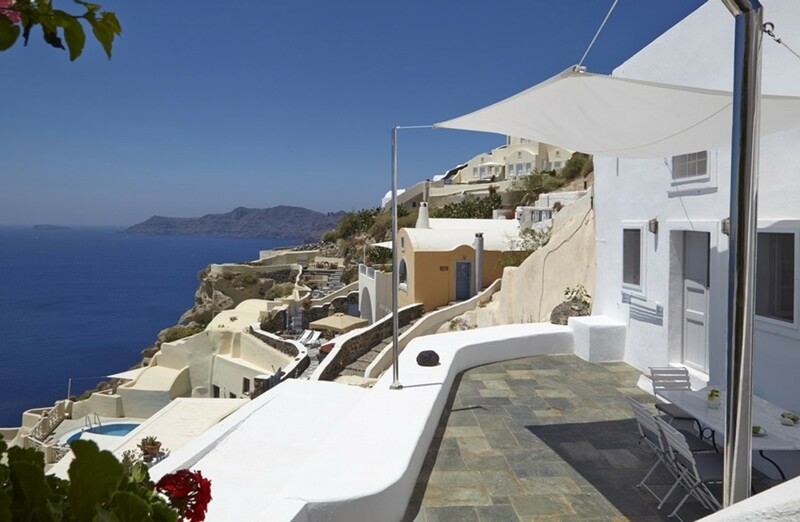 This town is only moments away from the famous cliffs of Oia, ‘a Jewel at the Cliff’s Edge’. These famous cliffs have the town of Oia suspended above the Aegean waters and looking down on the quaint Ammoudi Harbor. 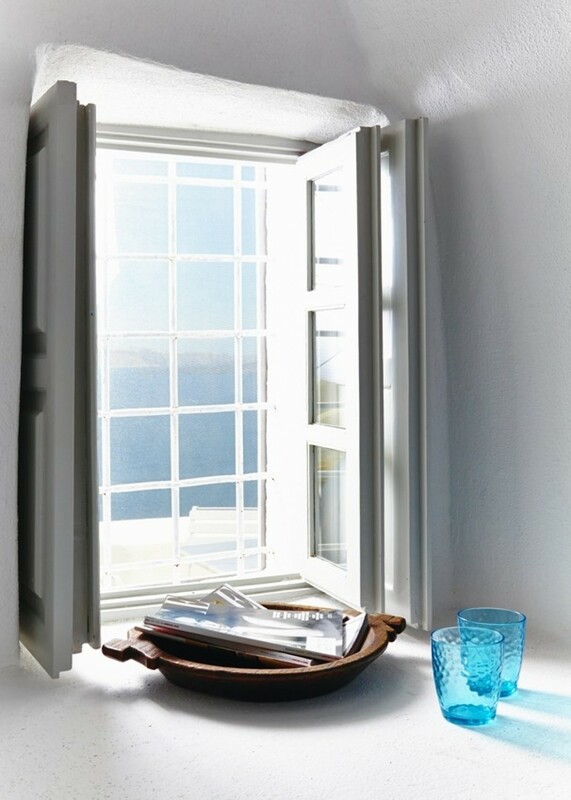 Looking out beyond the harbor your eyes can rest upon the islands of Therasia and Kameni. 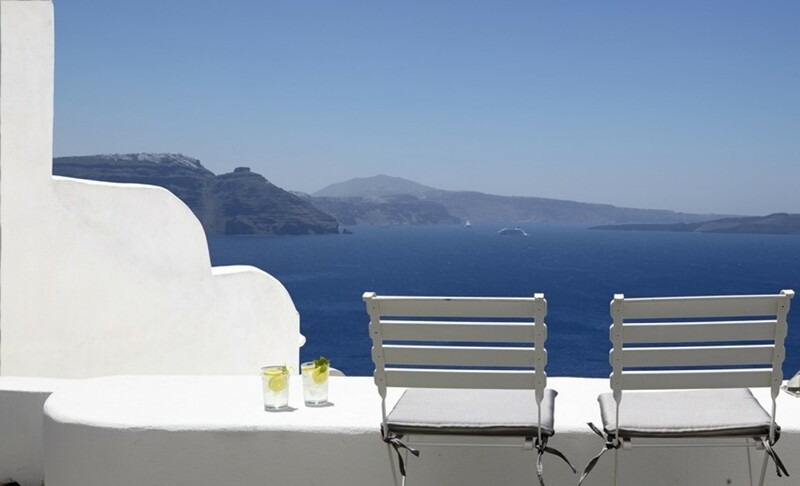 The word Oia translates to the English word ‘far’ as its location was once embedded far away from civilization. Now, however, is near a vast range of amenities and destinations for you to enjoy with ease. This exquisite traditional village has an incredibly popular destination for its year-round visitors. A hidden gem in this village is one of the most famous bookshops in the world, Atlantis. This bookshop is nestled in a carved alcove, right into the rock. If you want to learn more about the history of this enchanting land, then the ‘The Maritime Museum’ is also situated in this village. Walk along the central, marble-paved road and through its streets, lined with beautiful shops of every kind. For more details, The Airport of Santorini is located twenty-five minutes away (by car) from the villa at approximately 17.4km. The Santorini port slightly further at 19.3km. The town of Oia is 500 meters in distance. The closest beach - Baxedes Beach, is 2.8km away, a short 5-minute drive. The shops vary in distances however the closest being a stone throw away at 100 meters. There are many activities to take part in here at your own pace. Whether you want to go snorkeling to see the underwater sea life, swimming, kayaking or take a boat out for a cruise on the crisp salt waters, there is plenty to do to make your stay tailored to your wants. Bedroom 1 Master: Luxurious Master bedroom with Double bed, En-suite bathroom. Bedroom 2: Two Comfortable Single beds with a private En-suite bathroom. Bedroom 3: Comfortable Double Bedroom, private En-suite bathroom, access to second living area.